Schedule your next big event with us. 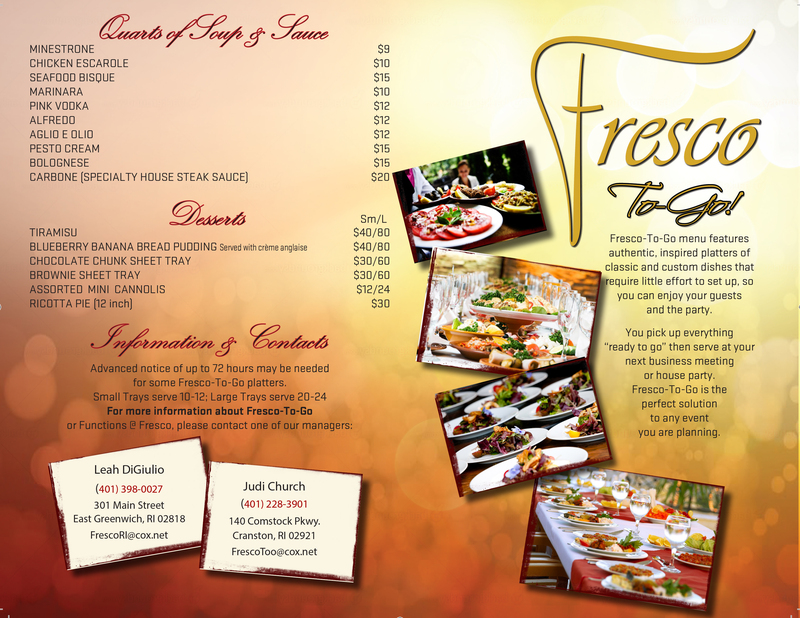 Having a party at home or at your office- let Fresco prepare it for you! 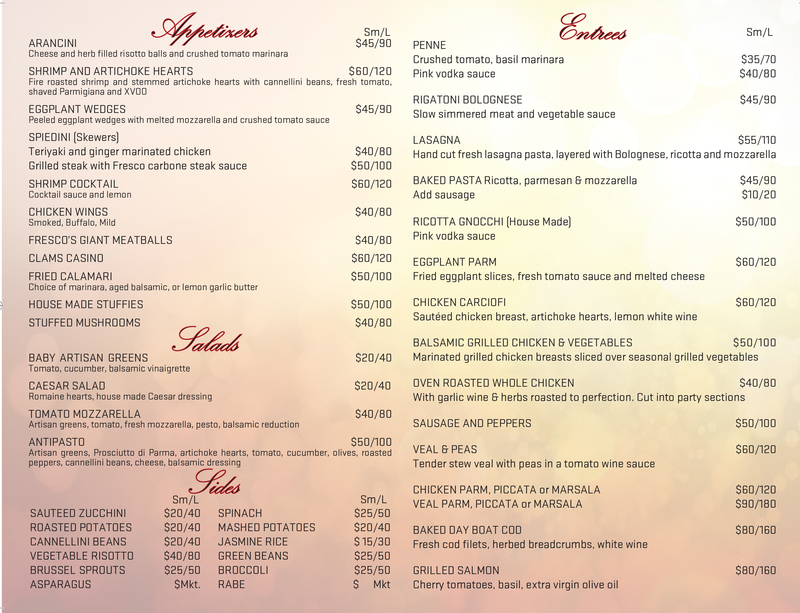 Just pick it up at the restaurant and your party is ready!